Bacon is salt cured pork that is prepared from various cuts of meat typically including the pork belly, back cuts which contains less fat in comparison to belly. It is consumed as a side dish, or on its own and also used as an ingredient to flavor dishes such as club sandwich. It is also used for larding and barding roasts including pheasant and venison. 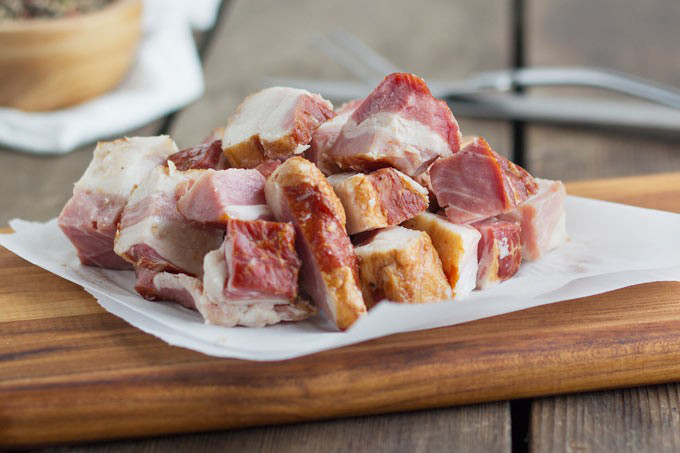 The term is derived from Old High German bacho that means buttock, side of bacon, ham and is associated with Old French bacon. 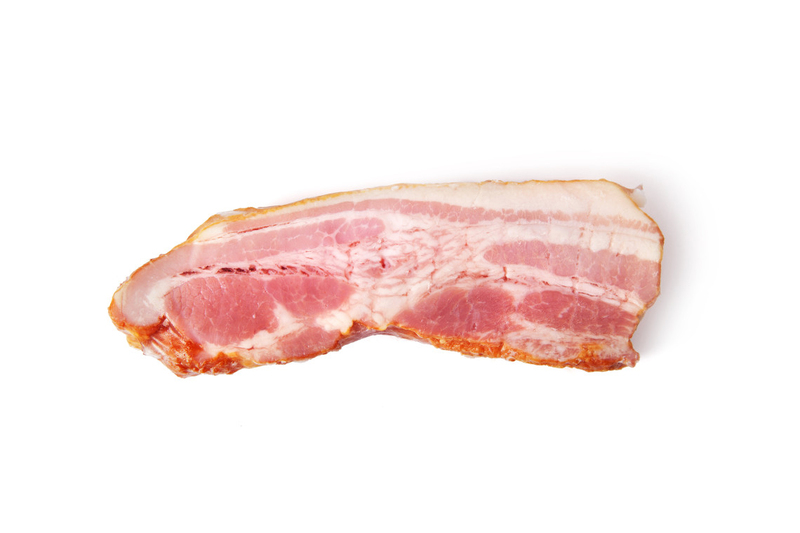 The meat obtained from other animals such as chicken, lamb, beef, turkey and goat could be cut, cured and prepared to resemble bacon and is also referred as bacon. Its use is common in areas with significant Muslim and Jewish populations which prohibit the consumption of pork. 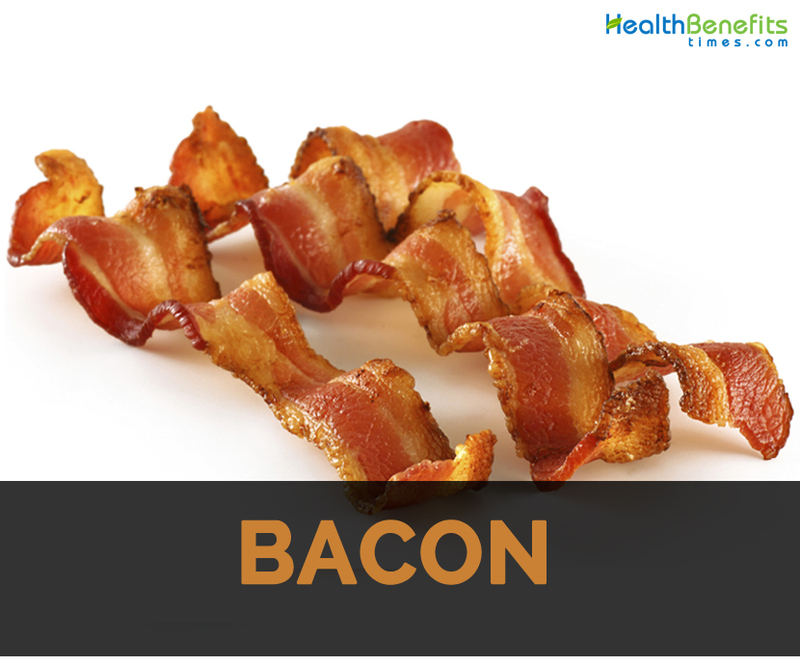 Bacon is loaded with fat but contains healthy fat which depends on what animal eats. It consists of 50% mono-saturated fats and oleic acid that is considered to be healthy for heart. About 40% of it is saturated fat having fair amount of cholesterol and 10% are polyunsaturated fatty acid which is considered to be bad. Bacon uses pig meat with salting and steaming techniques. It makes the taste and texture of the bacon salty and smooth. 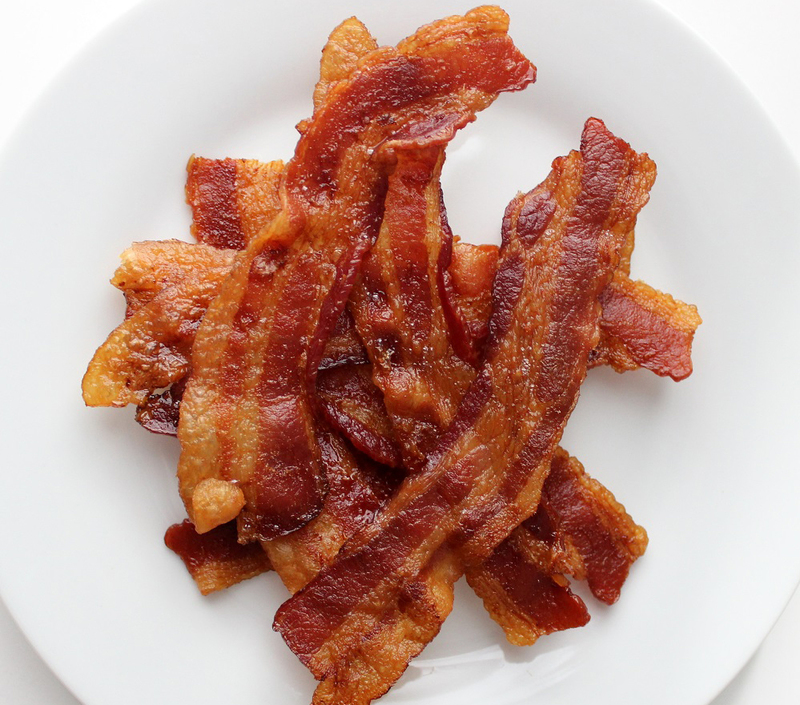 The history of bacon dates back thousands of years to 1500 B.C. in which Chinese cured pork bellies with salt, creating an early form of bacon though pigs were domesticated in 4900 B.C. in China and being raised in Europe by 1500 B.C. 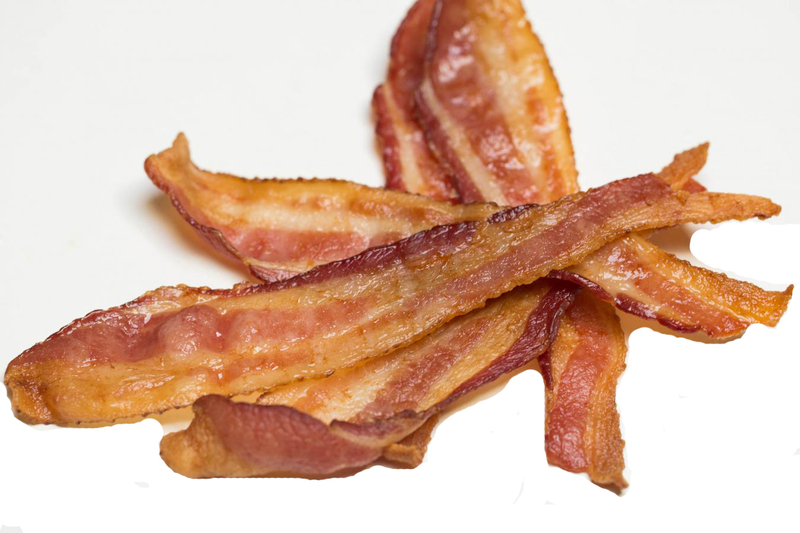 The belief exists that the Greeks and Romans learned the production and curing of bacon through conquests in Middle East. Romans upgraded pig breeding and spread pork production throughout their Empire. Ancient Romans had early version of bacon which was called petaso which is a shoulder of pig boiled with dried figs browned and is served with wine. Throughout Medieval Times, bacon and bacon fat is used as a vital ingredient used by Anglo-Saxon peasants for cooking. 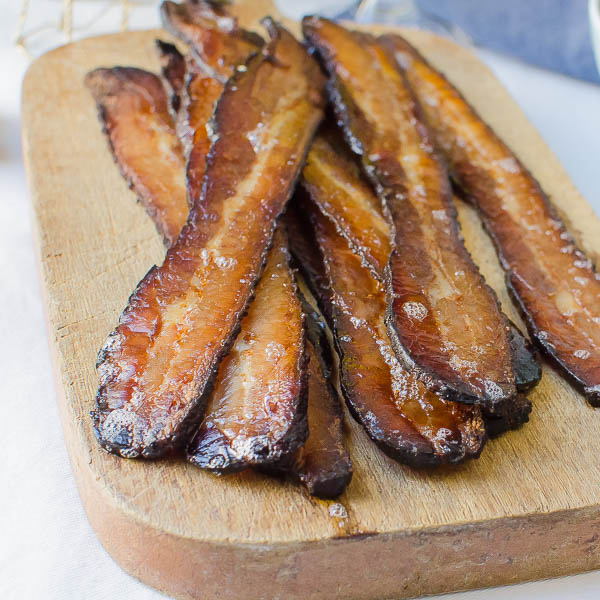 The term bacon is derived from various sources particularly from French word bak, the Old Teutonic word backe, common Germanic bakkon which refers to the back of pig and dates back before 12th century. 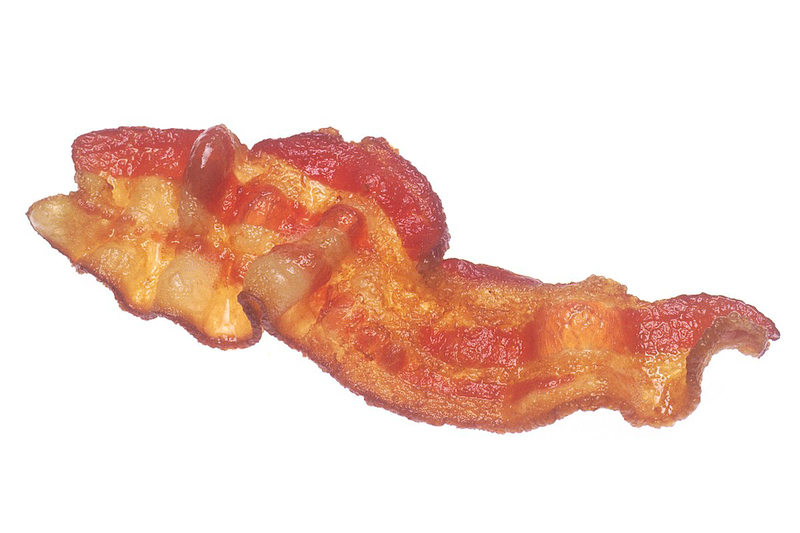 In 16th century, the word bacon and bacoun was used to refer any kind of pork. 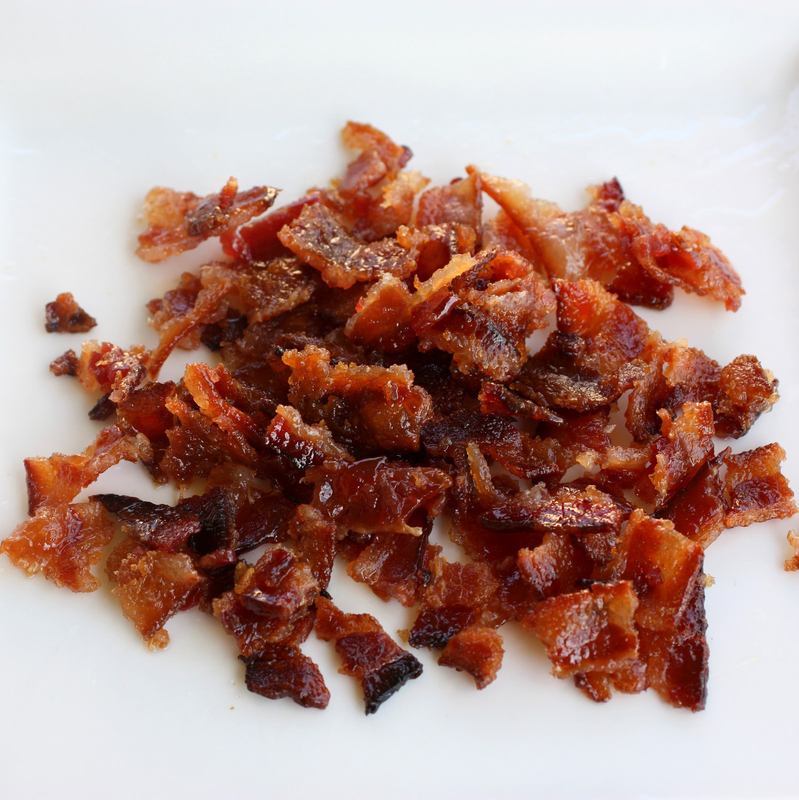 In 17th century, bacon was exclusively used to refer to the salted and smoked belly which is known as bacon today. In Yorkshire and Tamrworth, the breeds of pigs were grown significantly for making bacon. 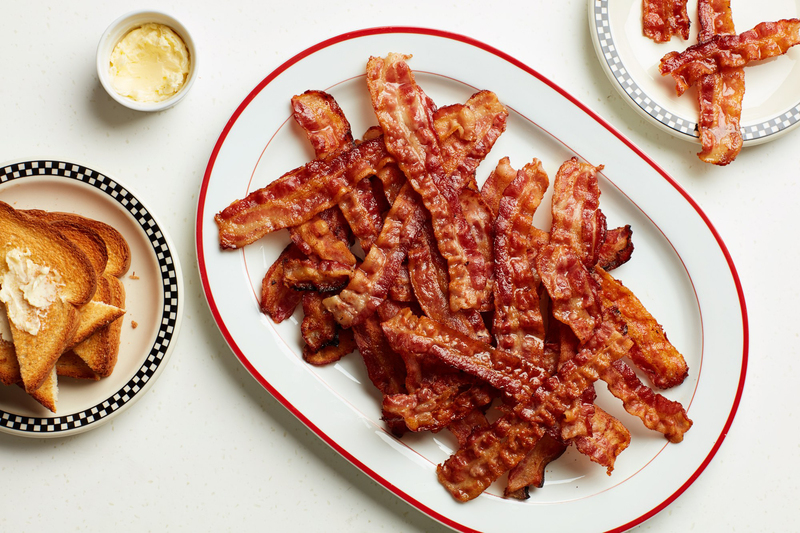 Bacon promotes high density lipoprotein cholesterol. Good cholesterol is helpful to maintain heart health and lower HDL cholesterol level increases the chances of developing heart disease. Increase in intake of carbohydrate promotes the health conditions of diabetes, heart disease, cancer, stroke, Alzheimer’s disease and sexual dysfunction. Bacon contains significant amount of protein. Protein is composed of various amino acids. It is a great source of selenium which is a vital component of healthy thyroid gland. 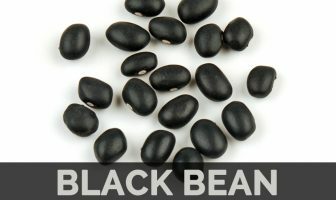 It is a potent antioxidant when combined with Vitamin E that prevents the chances of degenerative eye diseases and hair loss. Selenium is recommended for people with heart diseases and arthritis that plays a vital role in cardiovascular health and joint health. Phosphorus if combined with calcium forms calcium phosphate which is responsible for stiffening teeth and bones. The deficiency of phosphorus causes muscular and neurological problems. It has choline that is an essential vitamin for maintaining brain health. The study shows that choline helps to improve memory, brain cell size and learning speeds. It prevents Alzheimer’s disease. Choline is a precursor to neurotransmitter acetylcholine which is essential for muscle movement, sustaining attention, sensory perception and decision making. It is used as a remedy for articular pain. Before going to bed, rub aching joints with melted pork fat by adding tablespoon of honey. Place cellophane onto joint and wrap it into wool scarf. Keep the bandage overnight. It is also used to treat mobility problems after trauma. Rub with 100 grams of pork fat mixed with tablespoon of salt to the affected area and use cellophane wool bandage over it. Place thin slice of old bacon into inflamed area caused by mastitis. Cover it with a piece of tin foil fastened with band aids. Melt unsalted bacon to 35 degrees Celsius. Combine it with 100 grams of solanum fruit paste, two tablespoons of fat, two raw eggs and 3 tablespoon celandine juice. Let this mixture to remain for three days and spread to the affected areas of eczema twice a day. For toothaches, place small slice of unsalted bacon onto aching tooth between facial skin and gums and let it remain for 15 to 20 minutes. The people with hypertension should avoid bacon because it contains high content of sodium. Pregnant women should take precautions for consuming bacon that contains sodium nitrate because high intake of nitrates causes infant heart problems, slow intrauterine growth, sudden infant death syndrome, miscarriage and SIDS. Bacon dishes include eggs, bacon, lettuce, sandwiches, tomato, scallops, shrimp and asparagus. In US, streaky bacon is used as a topping on salads, pizza, hamburgers, sandwiches, hot dogs and soups. 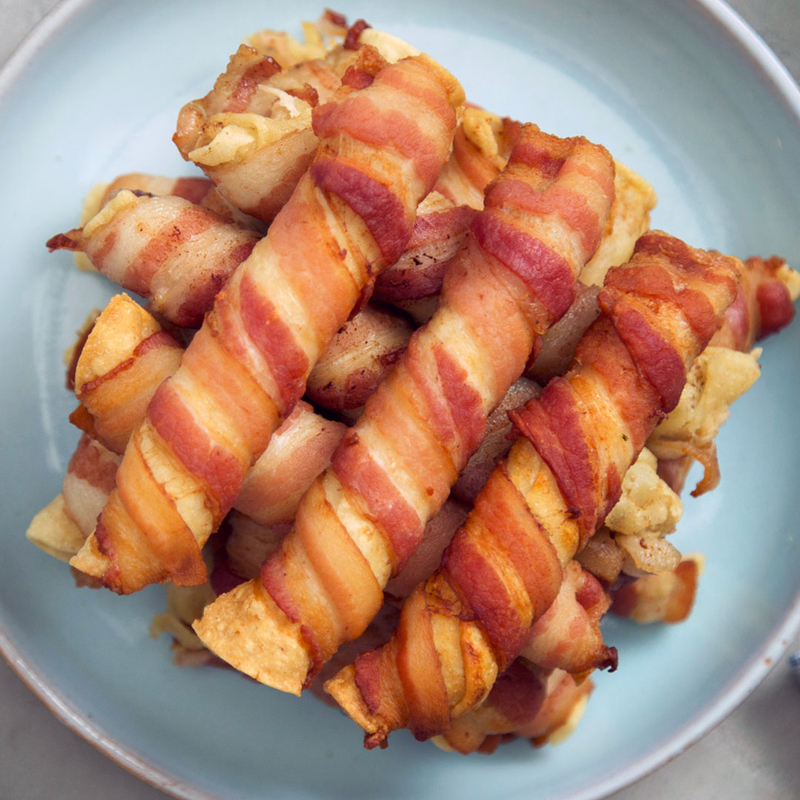 Bacon may be consumed boiled, smoked, grilled, baked and fried. The chopped pieces of Bacon and sautéed with garlic, butter and some butter or oil could be used as a base for stir fried dishes or savory fried rice. Calories in 1 slice cooked (8.1 g) 44 Kcal. Calories 44 Kcal. Calories from Fat 31.5 Kcal. Calories 54 Kcal. Calories from Fat 36.36 Kcal. Calories 43 Kcal. Calories from Fat 27.9 Kcal.